Elizabeth Kotulski, 87, of Mason City died Friday (Jan. 9, 2004), at 3:20 a.m. at Mason City Area Nursing Home. She was cremated and there will be no services. Mrs. Kotulski was a homemaker. She was born Feb. 17, 1916, in California to Arthur and Geraldine Smith Brown. Survivors are one daughter, Cynthia Pattison of Actona, Calif., and two stepdaughters, Sandra (and Fred) Cook of Lincoln and Sharon (and Hank) Windsor, address unknown. Click here to send a note of condolence to the Kotulski family. Shirley Anne Scherpinsky, 65, of Mason City died Thursday (Jan. 8, 2004) at 7:20 a.m. at her home. Visitation will be from 4 to 6 p.m. Sunday at Hurley Funeral Home of Mason City. Her funeral service will be at 11 a.m. Monday at the funeral home, with the Rev. Robert Paddack officiating. Mrs. Scherpinsky had worked for Grosch Irrigation of Mason City and was a cook at Robertson's Cafe in Mason City. She was also an Avon representative for 25 years. She was born Jan. 7, 1939, in Holland, Mich., to Willis and Gertrude Van Wyke Borr. She married David Scherpinsky in Fennville, Mich., on July 28, 1965. She is survived by her husband; two sons, Edward (and Margaret) Scherpinsky of Mason City and David Lee (and Ruby) Scherpinsky of Mason City; two daughters, Denise (and Dwayne) Dineen of Springfield and Sheryl (and Jesse) Vickers of Mason City; seven grandchildren; six great-grandchildren; two brothers, Bill (and Laverne) Borr of Holland, Mich., and Ron (and Hazel) Borr of Holland, Mich.; and two sisters, Geneva (and Les) Van Wieren of Holland, Mich., and Pat (and Roger) Kole of Zeeland, Mich.
She was preceded in death by one sister, Nancy Vander Yacht. She was a member of First Christian Church of Mason City. Memorial contributions may be made to Hospice Care of Illinois. 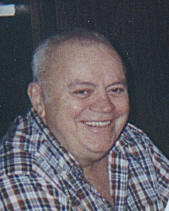 Robert E. Weimer, 74, of Lincoln died Monday (Jan. 5, 2004) at 10:30 a.m. at Memorial Medical Center in Springfield. A memorial service will be at 3 p.m. Saturday at Fricke-Calvert-Schrader Funeral Home in Lincoln, with Craig Smith officiating. Visitation will be from noon to 3 p.m. at the funeral home. Mr. Weimer was the first pharmacist at Abraham Lincoln Memorial Hospital in Lincoln, and he retired from the hospital in 1995. He owned and operated Yesteryear Books for 40 years. A U.S. Navy veteran, he served three years on the USS Helena cruiser during the Korean War. He was born May 25, 1929, in Union City, Ind., to Charles C. and Ruby Yoder Weimer. He married Patsy Kyle on Oct. 28, 1951, in Union City, Ind. Survivors are his wife, of Lincoln; two sons, Timothy (and Brenda) Weimer of Wheaton and Phillip Weimer of Carol Stream; one daughter, Jennifer (and Marty) Bradley of Phoenix, Ariz.; and five grandchildren, Carl Weimer of Warrenville, Whitney Weimer of Harrisonburg, Va., Sam Weimer of Ludington, Mich., and Joel and Joshua Bradley of Phoenix, Ariz. He was preceded in death by his parents and two brothers, Harvey and Richard. He was a member of Jefferson Street Christian Church of Lincoln, American Legion Post 263, Illinois Pharmaceutical Association and Midwest Book Hunters Association. He graduated from Union City (Ind.) High School in 1947 and attended Ball State University in Muncie, Ind., Penn State in Pennsylvania and Indiana University in Bloomington, Ind., before he entered the service. After his discharge from the navy, he attended and graduated from Butler University School of Pharmacy in Indianapolis, Ind. Memorials may be made to Jefferson Street Christian Church, Abraham Lincoln Memorial Hospital Foundation or Hospice Care of Illinois. Click here to send a note of condolence to the Weimer family. Fred Robinson, 68, of Lincoln, died Thursday (Jan. 8, 2004) at 8:20 a.m. at his home. A memorial service will be at 2 p.m. Saturday at the American Legion in Lincoln. East Lawn Funeral Home of Bloomington is in charge of arrangements. Mr. Robinson retired Sept. 1, 1998, from Saint-Gobain Containers, where he was a forklift operator. He was born Sept. 5, 1935, in Lincoln to Harry and Lou Ella Sutton Robinson. He married Roxie Hall on April 24, 1971, in Lincoln. She survives. Also surviving are three daughters, Debra (and Jack) Foster of Lincoln, Diana Fish of Lincoln and Jennifer Phillips of Petersburg; two sons, Daniel Robinson of Winneconne, Wis., and Tom Robinson of Lincoln; seven grandchildren; one great-grandchild; two sisters, Shirley Smith of Iowa and Florence Beavers of Clinton; two brothers, Earl (and Violet) Robinson of Lincoln and Roy (and Joy) Robinson of Florida; a brother-in-law, John Hoog of Bloomington; several nieces and nephews; and his mother-in-law, Edith Hall of Lincoln. He was a member of union Local 117 of Glass Bottle and Pottery Makers. Memorials may be made to St. John's Foundation for Congestive Heart Failure, Wayne J. Schall Hospice or Maple Ridge Care Centre. Burnell P. "Bud" Gresham, 77, of Blountsville, Ala., formerly of the Armington area, died Tuesday (Jan. 6, 2004), at 9:15 a.m. at his home. Visitation was Friday evening at Quiram Funeral Home, Atlanta. His funeral was Saturday morning at Armington Christian Church, with Melvin C. Gresham officiating. Burial was in Mountjoy Cemetery, rural Atlanta, with military rites conducted by Armington American Legion Taylor-Eckhardt Post 913. Mr. Gresham was a retired truck driver. During World War II he served in the U.S. Navy, U.S. Marines and U.S. Army. He was born April 1, 1926, at Atlanta to Milton Clair and Mildred E. Ransom Gresham. He is survived by his mother, of Blountsville, Ala.; his children, Paula (and Harry) Walker of Hot Springs, S.D., Brenda (and Eric) Lacefield of Hopedale, Paul "Buddy" (and Jamie) Gresham of Hopedale, Susan (and Mark) Newman of Hopedale, Becky (and Lance) Sosnowski of Armington, Kevin (and Alicia) Gresham of Bakersfield, Calif., and Deborah (and Paul) Griffin of Cape Girardeau, Mo. ; 22 grandchildren; 12 great-grandchildren; three sisters, Donna L. (and Roger) Chappell of Blountsville, Ala., Wanda F. (and Skip) Kieszling of Fort Collins, Colo., and Leta I. Mariette of Heyworth; two brothers, Ronald D. (and Carmen) Gresham of Minier and Melvin C. (and Marilyn) Gresham of Monticello, Ky.; and several nieces and nephews. He was preceded in death by his father, two brothers and one brother-in-law.